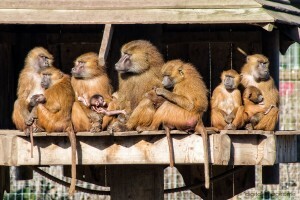 A revised gallery and slideshow today, the Guinea Baboons at the Yorkshire Wildlife Park (YWP). Clicking on the picture below will take you to the gallery and slide-show. Tagged 2016, Alan Baseley, Captive Animal, Digital Images, Guinea baboon, Mammal, Papio papio, Primate, Yorkshire Wildlife Park, YWP, Zoo. Bookmark the permalink.